Blood is the first game from Middle-Earth: Shadow of Mordor and Shadow of War developer Monolith, and was originally released back in 1997. Before the third-person Lord of the Rings prequels, the team were best known for making lauded first-person titles, including F.E.A.R., Condemned, No One Lives Forever and Aliens Vs. Predator 2. 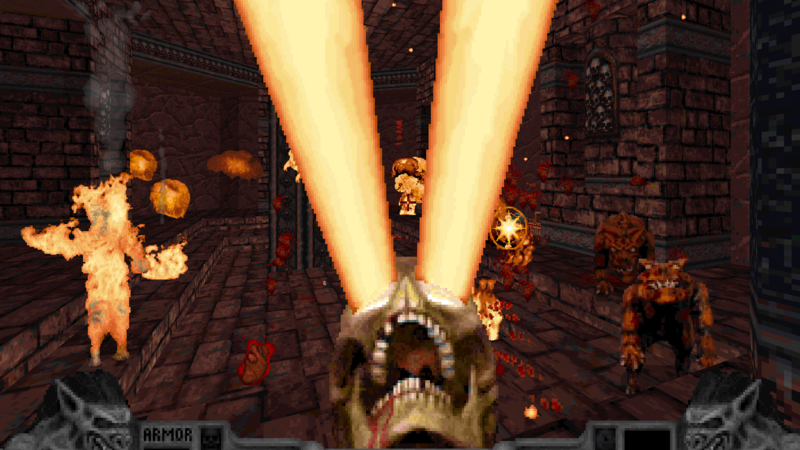 Blood is a bit more visually primitive compared to those games, being based on the sprite-based Duke Nukem 3D Build engine, which is currently being used for the upcoming Ion Maiden. Nevertheless, the game is still hugely playable due to its horror movie nods, entertaining levels, and exciting gameplay. The recently released Dusk is considered a spiritual successor to Blood. The new remaster won’t apparently be change too much from the original, as Nightdive says it will be only updating the game to provide “a better user experience for contemporary audiences.” The studio is aiming for better compatibility with current gen video and audio hardware, including DirectX and Vulkan support, with additional support for modern networks, Steamworks, and GOG Galaxy. The new remaster will be of the “One Unit Whole Blood” package, which contains Blood and its expansion packs. It’s not quite as big an effort for Nightdive as the System Shock remake the team is currently working on, but Blood is still one of the most entertaining shooters ever made, so fans will welcome a new chance to experience it. Hopefully, it will bring us one step closer to Blood 3.